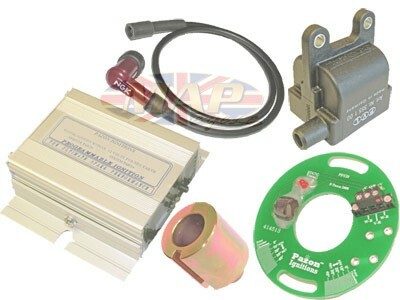 Fully digital, 12-volt electronic ignition system designed for competition and high-performance street motorcycles. Low power consumption ideal for competition machines using a total loss (battery only) system. 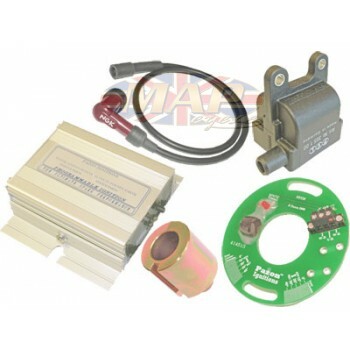 Have a Question about Pazon Competition,12-Volt, Digital Electronic Ignition For Triumph BSA Singles ? 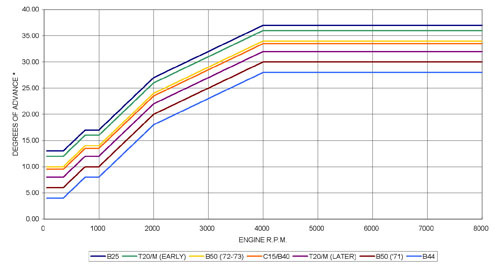 Is your engine power limited by your current ignition advance curve? The SMART-FIRE ignition incorporates a mapped advance curve that precisely controls the ignition timing throughout the rev range. Do you have an advance curve but can't get an ignition to match? We can program the SMART-FIRE so that you can get more usable power from your performance engine. Worried about over-revving your engine? The SMART-FIRE has a built-in rev-limiter. At the push of a button you can set the rev-limit to anything above 3000 rpm. Can be reset just as easily at any time. Have you found setting the timing on your current ignition system a bit 'hit and miss'? Timing made easy, with the on-board static timing light. Are your old ignition coils bulky and battery-thirsty? The SMART-FIRE includes a miniature high energy dual output ignition coil. The result? Very high spark energy from one of the smallest coils around. The SMART-FIRE features active dwell control that maintains the right energy in the ignition coil for optimum performance, whatever the engine rpm. The intelligent software also means that SMART-FIRE is highly efficient, drawing little power, extending battery life considerably.